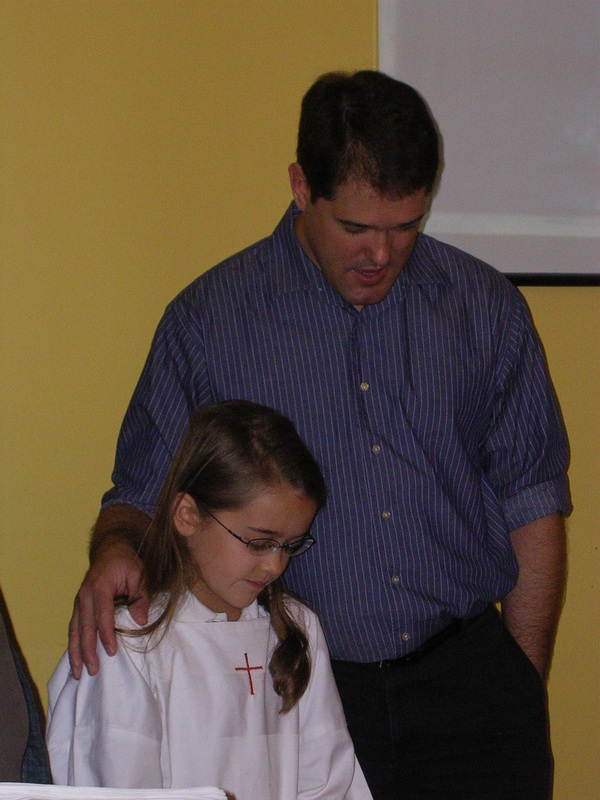 Hannah was baptized in our church in Budapest on Oct. 16, 2011. She had been asking to be baptized for some time, and we finally felt that she was ready to make a decision that would be her own. She had been asking many questions about faith and about the Bible which we tried our best to help her with. It was a wonderful service. We had hoped that some others in our congregation who had not yet taken the step of baptism would also want to be baptized. One young woman who believed at our English camp this summer was entirely new to the idea of baptism and didn’t feel ready. However, after seeing Hannah do it, she came up to Sanyi (our pastor) after the service and asked when our next baptismal service was going to be! We are planning to have a joint baptismal service with the Free Methodist church in Budapest, who do not have their own baptismal font. While we were in America, I believed in God just because my parents did. But when we came to Hungary I started struggling in my faith. I asked questions, prayed, and read my Bible a lot. I got what my parents call an assurance problem. But God helped me through it and comforted me when I really needed it. Now I’m excited to be giving my life to Jesus. I believe that he died for my sins and rose again. And I trust that he’ll be with me my whole life, through thick and thin, carrying me on.